See you at the NIIC on Sunday! We're just 4 days away from the 9th annual National Immigrant Integration Conference (NIIC) 2016 -- WE THE PEOPLE -- in Nashville,TN! We've got an incredible lineup of speakers, panels, plenaries, workshops, performances, film screenings, and much more. Check our conference schedule page for a full list of events! Advanced registration for NIIC closes out at midnight (12:00AM CT) -- for your last chance at advanced registration rates, don't delay! Register online here. Can't way to see you in Music City! PS. See below for information on our plenaries featuring leaders in immigrant and refugee rights and integration, civil rights, and social justice. An introduction by Caroline Randall Williams, Author of Soul Food Love and keynote address from Eddie Huang, chef and owner of Baohaus and author of Fresh Off the Boat. Ready to make some noise? In less than 2 weeks, the 9th annual National Immigrant Integration Conference -- WE THE PEOPLE -- will take place in Nashville, TN! Nashville is renowned for its culture-and especially for being the home of country music. 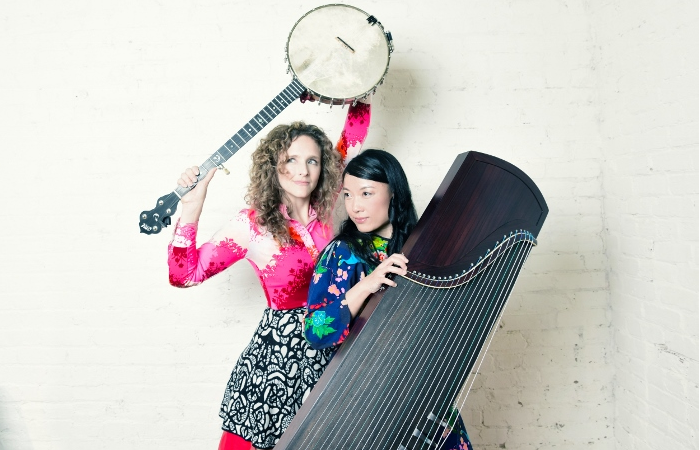 Earlier, we announced that the NIIC will feature Abigail Washburn and Wu Fei, an Appalachian and Chinese folk duo. We are thrilled to share that 13-time Grammy winning country music icon Emmylou Harris will also take the stage in her capacity as a Jesuit Refugee Service Ambassador. Harris's voice and her incomparably expressive lyrics are her hallmarks, and in her forty years of performance, she's worked with luminaries like Bob Dylan, Linda Ronstadt, Dolly Parton, Willie Nelson, Neil Young, John Prine, Gram Parsons and Steve Earle. A member of the Country Music Hall of Fame, Emmylou has also long been active in change-making work, including support for the Vietnam Veterans of American Foundation's work to assist victims of conflict, and advocacy to end the use of landmines globally. She will be with us at NIIC after completing an 11-city tour across the country to support refugees. Parallel to an exciting lineup of tracks and performances, we will also host a Community Navigator convening and a municipal gathering at the NIIC. 2016 National Community Navigator Convening will bring together over 100 Community Navigators, staff, and trainers, representing 37 organizations across 25 states. It comes at an opportune moment to share the broad collaboration that has been built to provide community-driven legal services and strategize as a field on immigrant integration organizing and policy moving forward. The Cities for Citizenship (C4C) Municipal Gathering will bring together over 60 municipal, county, and immigrant rights leaders representing 40 cities and counties across the country, ranging from Anchorage, Alaska to Atlanta, Georgia. In a half-day convening, the C4C Municipal Gathering will discuss the work of naturalization, financial empowerment, immigrant integration, and strategies for 2017. Register for NIIC 2016: WE THE PEOPLE! Our democracy is stronger when we love our neighbors. It's vibrant when we celebrate and encourage diversity. It prospers when everyone has the opportunity to succeed. At the 9th annual National Immigrant Integration Conference (NIIC) 2016 -- which takes place in just two weeks -- we will contend with the aspirations and realities of American democracy. Some our country's leading voices on immigration policy and civil rights will speak. And we will also hear stories of immigrants, refugees, and their families. Among those joining us to share his family's story is Eddie Huang, who will speak on the NIIC mainstage in our Breaking Bread: Food, Culture and Immigration plenary on Sunday December 11. Chef, writer, TV host, fashion designer, speaker and producer and American-born child of Taiwanese immigrants, Eddie inspires us with his talent for crossing borders and building bridges through culture, food, music and art. Widely known as the chef and owner of the popular Taiwanese restaurant Baohaus in New York City's East Village, Eddie has produced several projects under the moniker "Fresh Off the Boat," including his ingenious travelogue series with VICE Media, a "genre bending venture of subcultures through the lens of food." In 2013, he adopted the name for his New York Times Bestselling memoir which led to a wildly popular sitcom of the same name. Read more about Eddie's visionary-- and fun-- work here! Join us as WE THE PEOPLE: NIIC 2016 as we tackle the issues impacting our legislatures and neighborhoods, our airwaves and dining tables. Register for NIIC 2016 today. In just 20 days, the largest field gathering focused on immigrant and refugee integration, civil rights, social and economic justice and equality will be held in Nashville, TN at the National Immigrant Integration Conference (NIIC) -- WE THE PEOPLE. Post-election and pre-inauguration, NIIC is the place to be. Register for NIIC now and book your hotel room before the discounted NIIC rate ends on Nov 23! Here are just some of the NPNA leaders from across the country who will be at the NIIC. They have a plan for the future of our movement -- and we'll learn with them at the NIIC. Steven Choi, Executive Director of the New York Immigration Coalition (NYIC) and NPNA Co-Chair. Steve was previously the Executive Director of the MinKwon Center for Community Action. Prior to that, he was a Staff Attorney and the founding Director of the Korean Workers Project at the Asian American Legal Defense & Education Fund providing free legal services to low-wage Korean immigrants. Petra Falcon, Executive Director of Promise Arizona (PAZ). PAZ works to build power for the immigrant and Latino community in Arizona. Petra is a veteran organizer, activist and community leader with a long record of developing powerful grassroots strategies. She is a fourth-generation Arizonan. Eva Millona, Executive Director of the Massachusetts Immigrant and Refugee Advocacy (MIRA) coalition and NPNA Co-Chair. Eva is an immigrant integration expert and helped to found NPNA. She joined MIRA in 1999. Prior to MIRA, she directed the refugee resettlement program in Central Massachusetts. She is a naturalized U.S. citizen, and in her native country of Albania, she practiced civil and criminal law -- the youngest district judge ever appointed. Angelica Salas, Executive Director of the Coalition for Humane Immigrant Rights of Los Angeles (CHIRLA) and NPNA Executive Committee Member. Angelica became CHIRLA's Executive Director in 1999. Since then, she has helped to win in-state tuition for undocumented students, established laborer job centers, and led efforts to allow all California drivers to obtain drivers licenses. As a five year old, Angelica came to the U.S. from Mexico to rejoin her parents. Rich Stolz, Executive Director of OneAmerica and NPNA Executive Committee Member. OneAmerica is the largest immigrant rights advocacy organization in Washington State. Previously, Rich worked at the Center for Community Change (CCC). Rich was born in South Korea, grew up in California, and lives in Seattle, but has also lived and organized in Maine, Alabama, Arizona, and Washington, D.C.
Gustavo Torres, Executive Director of CASA and NPNA Board Member. Gustavo first joined CASA's staff as a community organizer and has served as Executive Director since 1994. 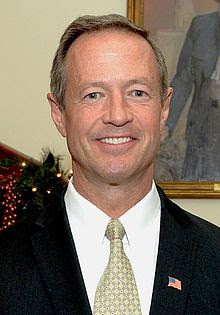 He has been nationally recognized for his leadership, and in 2001 he received the Ford Foundation's prestigious "Leadership for a Changing World" award. Gustavo was born and raised in Colombia. Dae Joong (DJ) Yoon, Executive Director of the National Korean American Service & Education Consortium (NAKASEC) and NPNA Board Member. DJ helped to found NAKASEC in 1994. He has over 19 years of community education and organizing experience in areas of immigration policy, health access, civic participation voting rights, environmental justice and economic development. He identifies as a 1.5 generation Korean-American and is bilingual in English and Korean. Join us, our fiercest leaders, and a thousand others in the immigrant and refugee integration field from across the policy, business, service provision, faith, community, research and philanthropic sectors in Nashville, TN this December. Register today for the NIIC 2016! The deadline for our deeply discounted rooms at the Omni Nashville Hotel -- our conference hotel -- has been slightly extended to Nov 23. Don't delay. Reserve your room now! Today we find ourselves in a very new political reality. If there was ever a time to gather the strongest voices for immigrant and refugee rights and integration, civil rights and liberties, and social and economic justice and equality, that time is now. In January President-elect Donald Trump will be sworn in after running one of the most anti-immigrant and anti-refugee platforms in history. At the National Immigrant Integration Conference (NIIC), that will be held December 11-13 in Nashville, we've brought together a lineup that includes some of these leading voices to address how we move together. WHAT ARE LAWMAKERS DOING IN THIS NEW POLITICAL REALITY? Congressman Luis V Gutierrez (IL) is a longtime champion of immigration reform working with legislators on both sides of the house to support measures that improve the lives of immigrant communities. HOW ARE GROUPS ORGANIZING FOR THE FIGHTS AHEAD? Cristina Jiménez is the Co-Founder and Executive Director of United We Dream, the largest immigrant youth-led organization in the nation, working to address inequalities faced by immigrant youth and advancing justice for all immigrants. WHAT ARE THE ROLES OF STATES AND LOCAL AUTHORITIES IN THE NEW LANDSCAPE? Nisha Agarwal is the Commissioner of NYC Mayor's Office of Immigrant Affairs and a leading voice in immigration reform at the local and national level. Commissioner Agarwal led the development of the country's largest municipal identification program and was also instrumental in the creation of Action NYC, providing free, safe immigration legal help to New York's immigrants. HOW ARE OUR IMMIGRANT COMMUNITIES RESPONDING AND PREPARING FOR WHAT'S AHEAD? Tia Oso is the National Organizer of the Black Alliance for Just Immigration, coordinating the flagship project, the Black Immigration Network -- a national network of over 40 organizations building relationships, developing skills and advancing an agenda for immigrant rights and racial justice. WHAT WILL BE NEEDED FROM THE INTERNATIONAL COMMUNITY ON REFUGEE AND IMMIGRANT ISSUES? David Miliband is the President and CEO of theInternational Rescue Committee, an organization that has been described by Times columnist Nicholas Kristof as "the gold standard of aid groups working with refugees." In 2015, the IRC and its partners aided 23 million people around the world. HOW ARE OUR PARTNERS IN OTHER COUNTRIES RESPONDING? Carlos Sada Solana is the newly appointed Mexican Ambassador to the United States has broad experience protecting the rights of Mexicans in North America. Join us and 1,000 leaders of the immigrant integration field at NIIC in Nashville. Register for the NIIC 2016. The deadline to book a deeply discounted room at the conference hotel is November 21. Reserve your room today! The road ahead needs our sharpest, most strategic work ever. Join us, these heavy hitters -- and many more -- to do just that. New York City Mayor Bill de Blasio will give a keynote address at the National Immigrant Integration Conference (NIIC), the largest immigrant integration gathering in the country, on Monday, December 14th at 9:30am in New York City. The Mayor’s keynote will speak towards why cities like New York will continue to invest in immigrants communities. The eighth annual conference - "New American Dreams: Advancing Opportunity, Equality & Justice" – runs from December 13-15, 2015, and is co-hosted by the National Partnership for New Americans and the New York Immigration Coalition, along with Executive Committee members Make the Road NY and Massachusetts Immigrant and Refugee Advocacy Coalition. NIIC will be held at the New York Marriott at Brooklyn Bridge and aims to connect a bold and dynamic immigrant integration movement with a broader group of stakeholders to drive inclusion and impact together. “As the NIIC 2015 co-host, we're delighted to have New York City’s Mayor Bill de Blasio address this year’s conference,” said Steven Choi, executive director of the New York Immigration Coalition. "This is the first year that NIIC will be held in New York City, America's historical port of entry for immigrants and the cultural and financial capital of the nation. Together with our Executive Committee partners, we believe the NIIC in New York will help influence major policy, cultural, political, and business trends across the country, and we look forward to having our city’s leaders’ in the conversation about key integration issues facing America's immigrant communities." Joshua Hoyt, executive director of the National Partnership for New Americans said, “New York City has always been a beacon to the entire world with its shining example of how to build a successful nation of immigrants. Mayor de Blasio’s administration is a continuation of this fine tradition, and we applaud the Mayor for his national leadership on immigration reform and immigrant integration. We are thrilled to host this year’s conference in New York and to feature the Mayor as a keynote speaker. Eva Millona, NPNA Co-Chair and executive director of the Massachusetts Immigrant and Refugee Advocacy Coalition said, "We welcome NYC Mayor Bill de Blasio to address over a thousand attendees at this year's NIIC. We look forward to hearing from New York City's Mayor on how we can successfully shape immigrant integration policy that makes our country greater." Javier Valdes, executive director of Make the Road New York said, "Under Mayor de Blasio's leadership, New York City has stood at the forefront of immigrant integration efforts by implementing policies such as municipal identification cards for all New Yorkers and universal immigration representation. There is no better place than the NIIC for the Mayor to highlight the progress that our City has made and engage in the important dialogue about how to advance immigrant integration in cities and states across the country." The NIIC Executive Committee is excited to announce that Secretary of State Hillary Clinton, Democratic Party candidate for U.S. President, will address the group on Monday, December 14 at 4:30pm in Brooklyn, NY. Candidates from both the Democratic and Republican parties have b een invited to address the nearly one thousand participants from across the country, including policy makers, advocates, educators, business leaders, culture shapers, community stakeholders, and more. Congressman Luis V. Gutiérrez will introduce the Secretary. The eighth annual conference - "New American Dreams: Advancing Opportunity, Equality & Justice" – runs from December 13-15, 2015, and is co-hosted by the National Partnership for New Americans and the New York Immigration Coalition, along with Executive Committee members Make the Road NY and Massachusetts Immigrant and Refugee Advocacy Coalition. NIIC will be held at the New York Marriott at Brooklyn Bridge and aims to connect a bold and dynamic immigrant integration movement with a broader group of stakeholders to drive inclusion and impact together. Conference organizers, who include leaders from the largest regional immigrant rights organizations in over 30 states, have invited 2016 presidential candidates to discuss and respond to the New American Dreams Platform. The Platform aims to broaden and deepen the current political discourse about immigration and, in the long run, ensure that all candidates be genuinely, robustly pro-immigrant. "We are very pleased to welcome Secretary Hillary Clinton to the largest and most dynamic NIIC yet to address our communities and be part of critical conversations on shaping a platform for New Americans that includes a robust plan for immigrant integration," Eva Millona, NPNA Co-Chair and Executive Director of the Massachusetts Immigrant and Refugee Advocacy Coalition. "In this moment when other political figures are engaging the politics of fear, it is extremely significant that Secretary Clinton is joining us to defend American values and to strengthen our nation of immigrants," said Joshua Hoyt, Executive Director of the National Partnership for New Americans. "We thank Representative Luis Gutiérrez for personally encouraging Secretary Clinton to attend our flagship event." The New American Dreams Platform will be launched at the conference which offers an opportunity for elected officials, policymakers, academics, community organizers, and national partners to engage in robust discussion and strategic planning. The Platform is comprised of six planks - citizenship, English language learning, education, the economy, health, and an inclusive society - and meet the needs of various New American constituencies, including naturalized citizens, legal permanent residents, undocumented immigrants, children of immigrants, refugees and asylum seekers, and people of various countries of origin, skill, and education levels. "We are delighted to have Secretary Hillary Clinton join us at NIIC to address over a thousand attendees from across the country who are eager to find solutions to some of the key integration issues facing America's immigrant communiteis today," said Steven Choi, Executive Director of the New York Immigration Coalition, the co-host for the 8th annual National Immigrant Integration Conference. "This year's NIIC in New York will help influence major policy decisions heading into 2016 and we look forward to discussing the future of immigrant integration with Secretary Clinton, Governor O'Malley, and all the Presidential candidates for our nation's highest office." Javier Valdes, Executive Director of Make the Road New York said, "The NIIC is the nation’s premier event for addressing the critical issue of immigrant integration. We’re thrilled that Secretary Clinton will join us to hear from community members and share her platform on how to ensure that immigrants can realize their dreams." In a week’s time, nearly a thousand people from across the country will gather for the National Immigrant Integration Conference 2015 (NIIC 2015). NIIC is taking place in a time of great turmoil: We’ve seen backlashes against immigrant communities from elected officials and presidential candidates. A rise in anti-refugee and Islamophobic rhetoric. And a pernicious culture of fear and intolerance descending upon communities across the nation. Will you be at NIIC to make the call for tolerance loud and clear? There’s still time to register by clicking HERE.